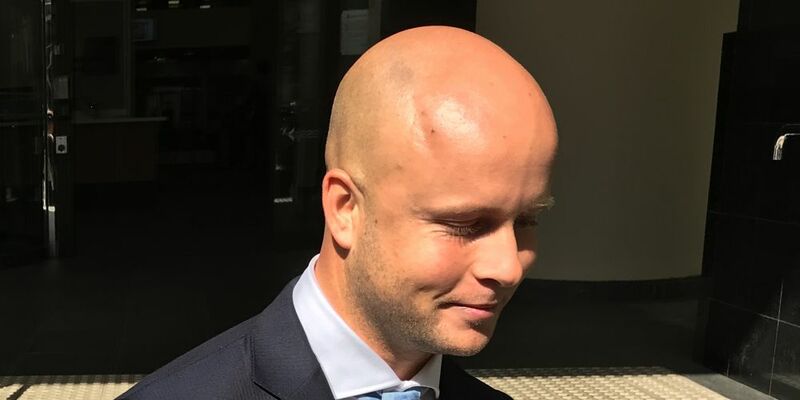 A SON of former West Australian premier Colin Barnett has been found guilty of breaching a violence restraining order by deliberately approaching an ex-girlfriend in a shopping mall. Sam Barnett, 29, did a U-turn when he spotted Dmitrie Zidar at the up-market Claremont Quarter on September 1, then ran up behind her, coming within one metre of the 38-year-old despite the order prohibiting proximity closer than 20 metres. Barnett was found guilty in Perth Magistrates Court on Wednesday following a hearing last month. Magistrate Geoff Lawrence said the explanation Barnett gave in his police interview, including that he backtracked to recover an item he left at a sushi bar, was a “clumsy attempt” to create a ruse, “without a scintilla of credibility”. When police told Barnett CCTV footage showed him “clearly” looking into a boutique Ms Zidar was in before the encounter, seemingly slowing down and waiting for something, he repeatedly exclaimed “I can see how it looks”. He insisted he inadvertently followed her and didn’t want anything to do with her, labelling the mother-of-two a “jaded woman, a decade older”, a “liar” and a “f***ing b****”. 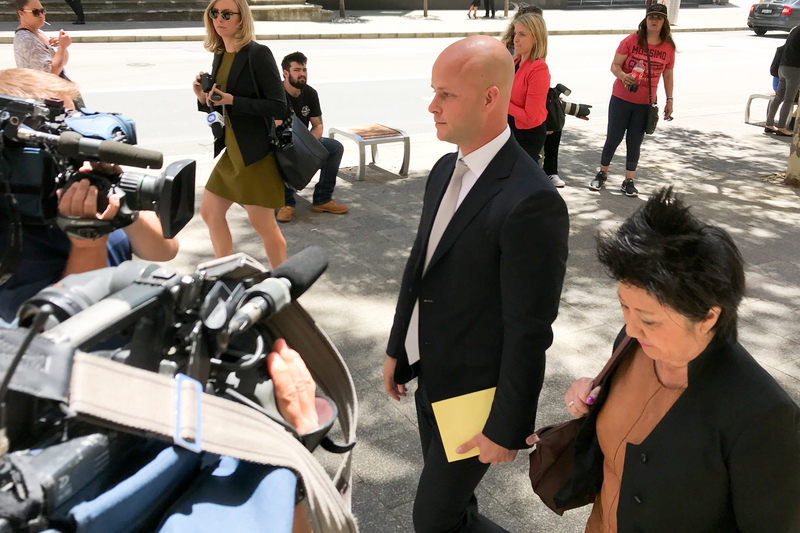 Mr Lawrence accepted defence counsel Patti Chong’s submission the breach was a chance encounter. “You haven’t been charged with stalking … a far more serious offence,” he said. The magistrate fined Barnett $1000, ordered him to pay costs of $107.50 and granted him a spent conviction because he regularly travels for business, saying it was unlikely he would commit a similar offence again. Outside court, Barnett admitted he had a history of acrimonious break-ups with various women. “Yeah, I have a bit of history,” Barnett told reporters. “My 20s has been an adventure, I don’t deny that. It’s been a rollercoaster. Barnett previously faced court for his actions during an argument with ex-girlfriend Melissa Garbin at a Queensland hotel in 2016. He was fined $1500 and granted a spent conviction after pleading guilty to damaging her laptop and mobile phone. Barnett hit headlines again that year when he had a tumultuous break-up with model Samantha Shvetsova on a trip to China and was issued with a 72-hour restraining order when he returned to Perth.